The opening track Come undone is a dark tune with elements of Beck or the Eels working their way into the sound. There is a thick cold atmosphere that surrounds the sound from the very beginning. This adds to the vivid feeling of darkness throughout the song. The arena continues in the dark themes with an edgy menacing feel. Noir Des’sir has a harsh industrial feel. There is a lot of silence floating along the song along with distorting droney sounds creating an intense soundscape taking you off to a wasteland like the one depicted in Erasure head. My side of the story is an offbeat jam with the saxophone leading the charge. There is a very jazzy vibe with the different elements going back and forth in a kind of Brownian motion feel. A simpler plan brings In a sense of calmness and comfort as the music drifts along peacefully along with the softly spoken words. Q&A takes another twist with a much more upbeat feel to it while also having a late 90s Cure-esq backdrop. The result is something that is somewhat subdued yet uplifting at the same time. The mood soon returns to the dark side with the creepy sounds of For our own good, sounding like a broken down amusement park late at night. The final four tracks races through, going for a total of just over 5 minutes. This covers the chilling spoken work title track, the smooth and ambient Mayan Dream, the unnerving and bleak On the corner of loss and gone, and finally the agonising & I looked Everywhere. The short and sweet approach of these tracks create something of a whirlwind with a heap of sounds and textures crammed in and gone before you know it! This is a great album that drags you through some bleak places with vivid imagary. The music creates an amazing atmosphere that makes you feel like you are in some dark desolated place. At the same time it is delivered with great emotion and beauty ensuring a very moving expeirence! 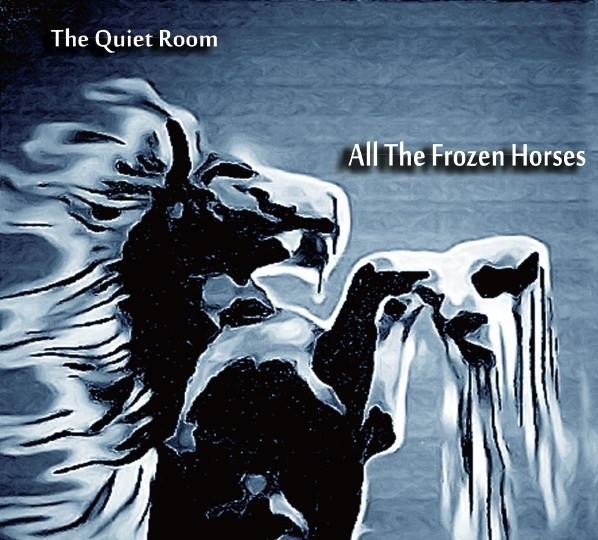 Check out the Quiet Room’s facebook page to find out more!